Looking back at my running mileage, I have not really put in more runs in my regimen during my triathlon training. I have focused on swimming and doing long rides on weekends. I knew I was sacrificing my run for the Half-Ironman event because I have to put in more time to swimming. True enough, the run leg was the most challenging part during the race and I ended up not hitting my target time. That's why since September I have focused on my running and tried to build more mileage and also it was time to train for QC International Marathon in December. It was a good feeling to be back on the road and running. 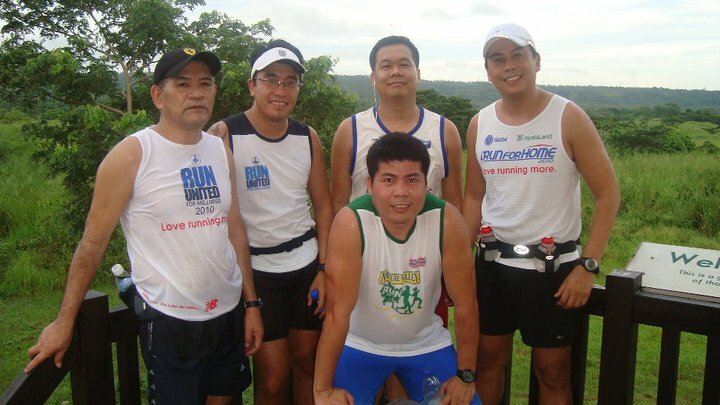 Together with some Gone Running Club members, we were consistent in doing our long runs. On weekdays, we do our own easy and tempo runs and meet up on weekends for the long runs. 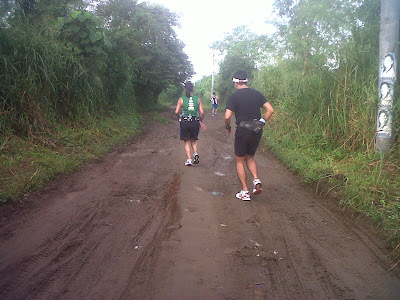 QCIM would be my 2nd Marathon and I am glad that this time I am able to train properly without any injury. 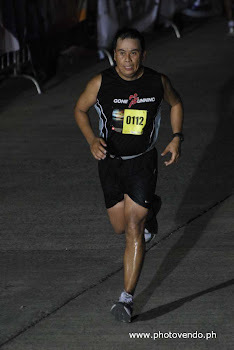 Last year, I suffered from ITBS which hindered me from running well in my First Marathon, but still I was able to finish. This year's marathon will be my chance to perform better. 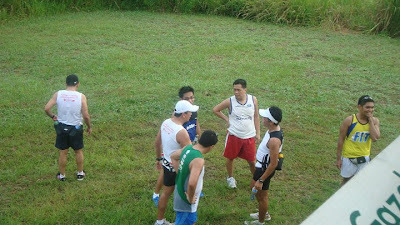 During this week's long run, we were able to meet up with the Alabang runners. It was a good meet up and was fun to run with other runners from the south. Our usual long runs starts at 3:00 or 4:00 am depending on our target distance. 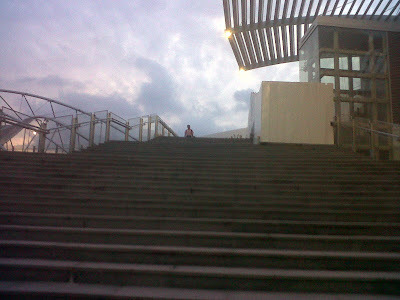 The Alabang runners started at 5:00 am and we joined them in their route. First stop at the bird sanctuary in Nuvali. Was talking to Raymund Canta and disussing future races that they are joining. 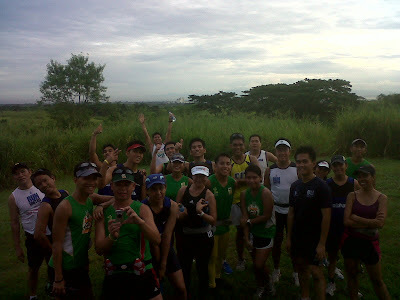 Joined the group photo with Alabang Runners. With Kuya Ernie, Jay, Ronald, and Ric. 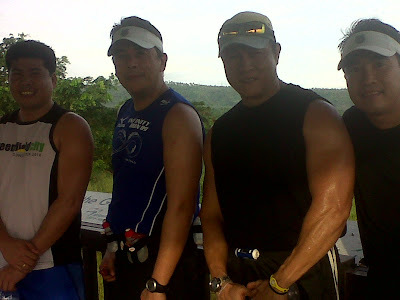 Kuya Ernie and Ronald will be doing their first marathon in December, while Ric is starting to build up his mileage and yet to decide when his first marathon would be. 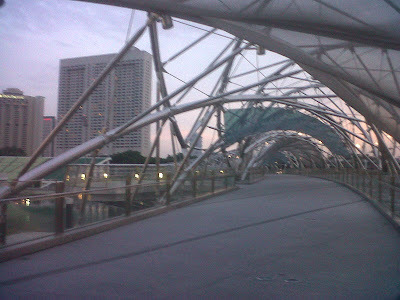 During this week, I was in Singapore to attend the SCM Logistics World Conference. It was a business trip and as always, I made sure that my running gear is packed as I would definitely not missing my training plan even on trips like this. My wife's friend Peter Yongco was based in Singapore and he joined me for Dinner on my first day and took me to esplanade area. 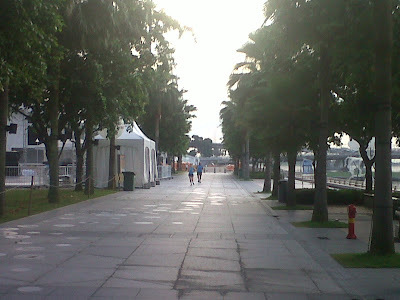 I was glad that this area was a running route for most runners and was happy to see runners training for their own races. 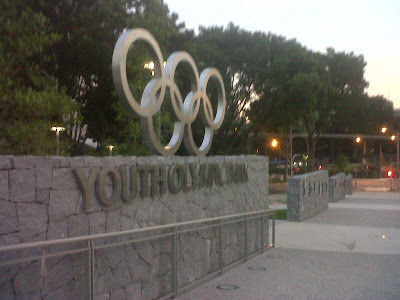 We took a walk and surveyed the area so I can familiarize myself. The following morning I stepped out to do my morning run and went to the area to run. I did two morning runs with 11km each. Below are some photos of the area I ran thru. 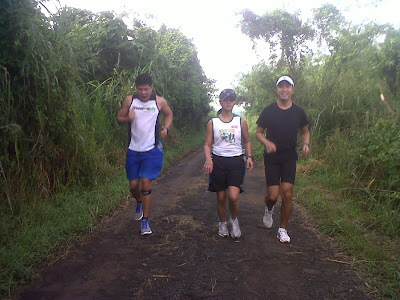 We did a 35km run on this weekend, was glad that Ric showed up as well as he was able to log in his first 24km run. Cherry has not missed the long runs and she was doing good and getting stronger. 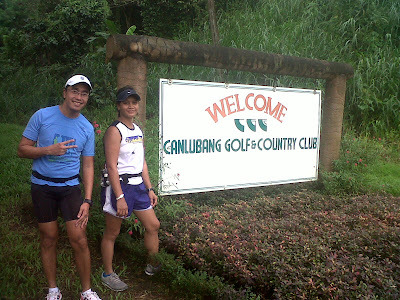 This run was supposed to be a 38km run, but since it was Cherry's bday, Jay and I decided to do a 40 km run. This is a confidence builder for Cherry and she is now ready for the full marathon. 5 weeks left before her first marathon and I think she will perform well.